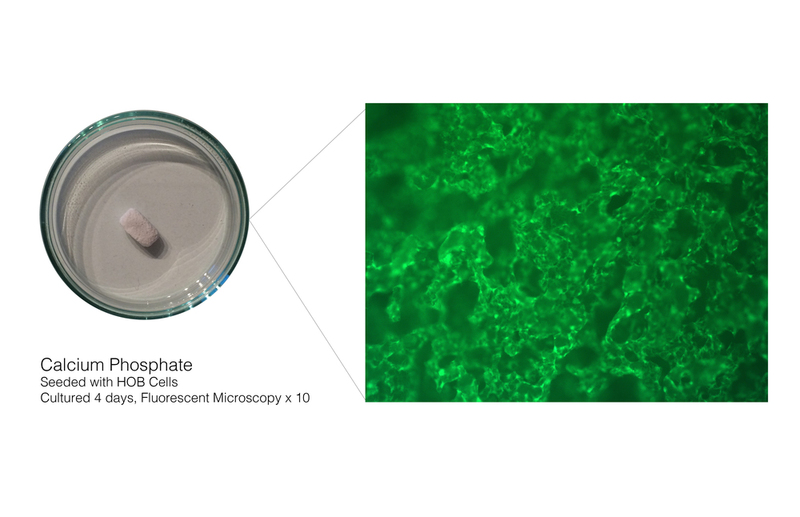 'Tissue Engineered Textiles' is an ongoing research project being carried out in collaboration with the Tissue Engineering & Biophotonics Department at Kings College London. It is exploring how traditional textile craft techniques can be utilised to create new approaches in the field of tissue engineering. As a science tissue engineering is concerned with the goal of growing replacement parts for, and repairing, the body - from skin and blood vessels through to ultimately whole organs in years to come. One of the key areas of research is the design and development of scaffolds to support cell growth. Scaffolds are created to give cells architecture around which to attach and grow. Textiles as a discipline offers a way to create scaffolds due to its unique ability to be able to mimic natural structures in the body, creating bespoke architectures that are often difficult, or impossible, to achieve in other mediums. The understanding of how cells grow on different materials, and structures, enables a large variety of scaffolds to be created that control the orientation of cell growth and patterning. 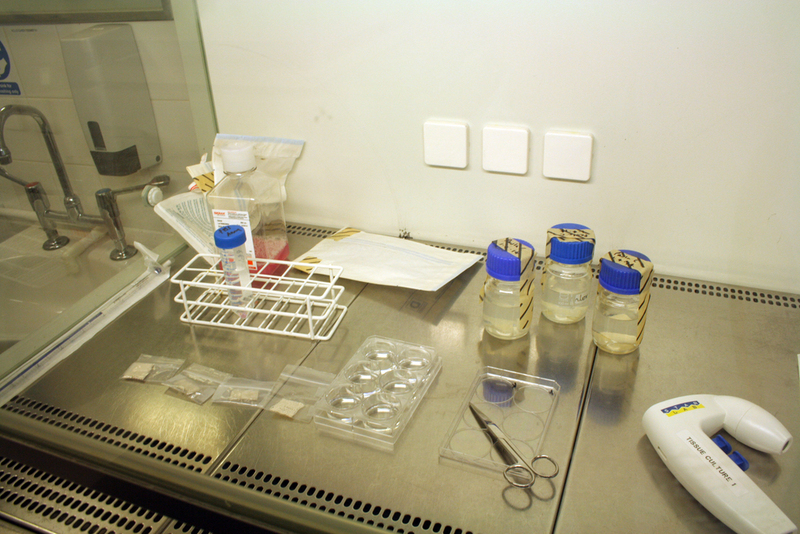 Alongside the development of new scaffolds a range of materials have been seeded with cells in the laboratory at Kings College, many of which have never been used before in tissue engineering. This has taken the form of a materials library/ archive of biocompatible materials; some of which have a history in tissue engineering, some that are new to the field and some that are not suitable for repairing the body but that may be used for future fashion e.g. freshwater pearls or Swarovski crystals. Ultimately the main aim of the work is to understand how different materials and craft skills such as embroidery, crochet and lace making can be used in this cutting edge science to help repair the body. Whilst also considering if the techniques, and materials, used could also be harnessed to grow future fashion. The project is in collaboration with Prof. Di Silvio, Professor of Tissue Engineering at Kings College London.